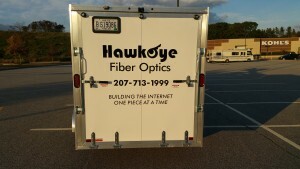 Ryan Hawkes had 13 years of experience on every level as a telecommunications contractor before deciding to strike out on his own doing fiber-optic cable splicing and installations in business and campus environments. He met with Business Advisor Larry Giroux to find out if he needed a license or certification to start this kind of business and to find out about financing his startup. 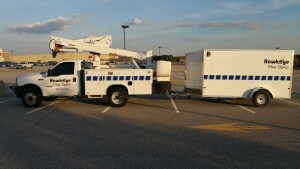 Hawkes had all his own hand tools but needed splicing and testing equipment and a bucket truck. Over the course of several months Giroux and Hawkes worked on writing the business plan and creating a balance sheet and cash flow projections. Giroux also provided market research from SBDCNet that showed that this type of business is a growing portion of the industry and Hawkes’ timing could not be better to start up. He also has few competitors. With a completed business plan, market research to support starting such a business, and a balance sheet and cash flow projections that clearly showed a need for a loan all finished, Hawkes completed a loan application from Androscoggin Valley Council of Governments, submitted all the documents and was successful in getting a loan for $42,000. He purchased the bucket truck and equipment and reports within the first three weeks of business he had all the work he could handle and has since added his first employee.